Commuting for a job is never fun. When you're tired and just want to sleep in, trudging an hour or two to the office really doesn't seem worth it. At some point, everyone wishes their office was just a little bit closer, or conveniently, attached to their building. However, unless you have the ability to work remotely, you're going to have to face that commute day in and day out, and that can definitely get old. But at the end of the day, making the commute is worth it, right? Not always. Sometimes a commute is simply too long and can have major effects on your life. 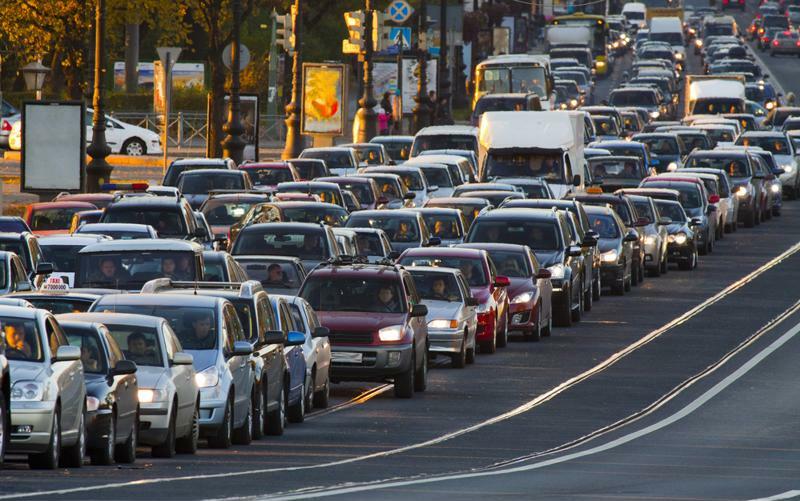 Here's how to know whether your commute is worth it. "The cost of gas in one year can add up to $1,000 on average." One of the biggest things to consider with commuting is the cost. If you choose public transportation and you'll need to pay a monthly fare to get from bus to bus or ride on a train, which can add up to more than $100, or $1,200 a year. Other people may opt to drive, which can lead to fees for gas, parking, insurance and even loans if you're leasing your car. While these numbers may vary, the cost of gas alone in one year can add up to $1,000 on average, according to Glassdoor. If you're facing these costs, it's important to determine whether they are worth it. While you may not be able to change the price of gas or the cost of a parking garage, it's critical to consider how these prices weigh against the rest of your living costs, as well as your salary. If you're paying for a long commute and not getting paid a great amount, it may not be worth it to stick around at the company. However, if you love your job and are paid well but are commuting a long distance because of cheaper housing or a better school, it is important to think about its worth. For example, Fortune noted that if a person lives on a beautiful farm outside of the city and commutes in every day, but never actually takes advantage of the property, is it really worth it? Realistically, that same person may be able to find an apartment much closer to their office, but it may not have as much land to look over. If the majority of your company has a commute of some sort, it may be worth looking into commuter benefits. These can take the form of tax-free contributions to a special commuting fund, or the company may opt to simply pay for its employees to get into the office every day. Some organizations have special shuttles that meet at central locations, which can be helpful for employees that are coming in from long distances. For businesses that are mostly staffed by people who drive, carpools are an environmentally-friendly and cost-effective option. Instead of wasting resources taking multiple vehicles, employees can hit the road together. As an added bonus, this plan offers additional conversation time, which can be used to engage in conversation, plan for the workday and forge stronger social connections. A decent commute becomes a lot longer when traffic is involved. When it comes to driving, everyone seems to have their limit. The average American commutes at least 25 minutes to work, which is not a significant hardship in the grand scheme of things. Some people, however, have to travel multiple hours, each way, just to get into the office. While some of those making the trek don't mind, others tend to get more and more stressed, causing them to perform poorly at work or begin to resent their job. Survey Sampling polled people on what causes them the most stress at work. While low pay was the number one answer at 35 percent, a long commute sat directly behind it. Approximately 33 percent of the employees selected for the poll admitted that their commute was the main cause of their stress at work. No one appreciates an irritable employee, and it may cost you friends and possibly your job, which definitely doesn't seem worth it. Your ability to withstand a long commute could also depend on how much you are able to accomplish during that time. If you are riding a train, and are able to look over paperwork or get some reading done, you "lost" less working time. If, on the other hand, you are driving in bumper to bumper traffic for several hours each day, the cumulative effect is significantly more lost time. As well, consider how you react to stressful situations. Are you prone to irritability while you drive? Do you become upset if a train is a little bit late, or if the bus is more crowded than usual? If these things significantly impact your mood, you could be starting every day in an agitated and unproductive state. If this is the case, a job with a shorter commute might very well be the right choice for your lifestyle. Another factor to consider is the time of day that you make your commute. Are you leaving your house during the morning rush and returning during the evening rush? If so, you could be maximizing the amount of stress that factors into your travels. Instead, consider either getting in a little earlier in the morning and leaving earlier, or coming in later and working into the evening. In both situations, you will find your travels significantly less crowded, which could make them easier to deal with. local or organic foods, are better for your health and the #environment's. While a commute may not seem that bad at first, when you consider traffic and inclement weather, that 25-minute commute can come close to an hour, which definitely isn't fun. When people need to cut this much time, or more, out of their day to get to work on time, other things they want to do have to be cut out. One part that is often compromised by a long commute is a person's social and personal life. A long commute can be mentally and physically draining, especially when you've been staring at the same license plate for over an hour. By the time you get home, you usually don't have the same excitement you did when you got up this morning and left for work. If you live with a partner, he or she often gets the brunt of it. You may be too tired to cook, watch a movie, head to the gym or interact with friends. The things you once appreciated can begin to dissipate, and it may take a toll on your relationships. Unless your job seems more worth it than your husband or wife, usually this long of a commute isn't worth it and ends up being a major problem. If you do have a commute, there are ways that you can make the most of it. Even if you are driving, and aren't able to read, you can listen to podcasts or audiobooks to broaden your knowledge and keep your mind sharp. You can also use that time stuck in traffic to mentally reflect on the things you want to get done during the day, and focus yourself for the day ahead. Creating a mental to-do list can help you hit the ground running when you do get into the office. For train and bus travelers, there are even more options. Take the time to catch up on your social media accounts, or check your email or voicemails. Taking that half hour every morning to start clearing out your inbox can save you that time later in the day. Health-conscious employees should consider biking or walking into the office every day. Getting a little exercise in the morning can turn otherwise wasted commuting time into something much more productive. With your blood pumping and your mind more clear, you will be ready and able to make better decisions early on in the workday. Some companies even offer insurance benefits to more active staff members, so check in to see if you can capitalize on the trip you have to make into work anyway. In addition, you will be lowering your environmental impact, and may feel better as well. It's important to keep in mind that everyone's commute is different. However, if you've run into one of these roadblocks, it may not be worth it.